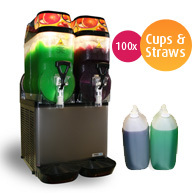 If you need to hire a slushie machine in Melbourne, we have some great packages available. You can choose to cater for a small party with only 20 guests, right up to events with thousands of people. 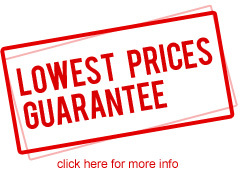 Below are our six most popular cocktail machine packages, but if you require something custom, you can call us. You can create your own daiquiri, cocktail or margarita drinks, depending on what flavours you choose. We have a list with over 50 different recipes. We provide all the base slushie mix, so all you need to do is add alcohol if you wish. If your having a party for the kids, we also have a range of children friendly flavours so they don’t miss out. 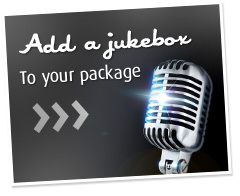 A full list of ingredients is available on the site. 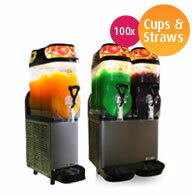 If you have never hired a slushie machine before, there is no need to worry. 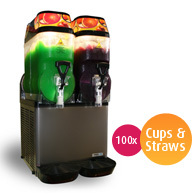 We provide a complete slushie machine hire service. This includes everything from delivery, to set up, explanation of how to use the equipment and pick up and cleaning. 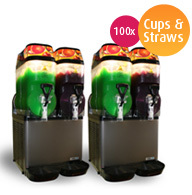 We even provide cups and straws, and delivery is free if your within 35km of Melbourne CBD. All you need to do is provide a powerpoint, and a sturdy place for us to place the slushie machine on. 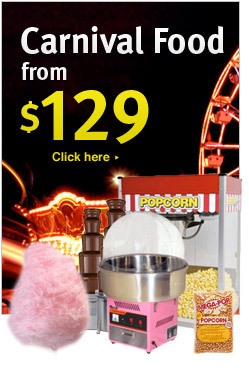 If you are looking for slushie machine hire deals in Melbourne, we are always available on the phone or email, so feel free to contact us. 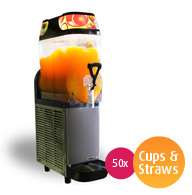 We keep a large rang of daiquiri machines hire deals on hand, so we can usually accommodate to all slushie machine hire booking requests. 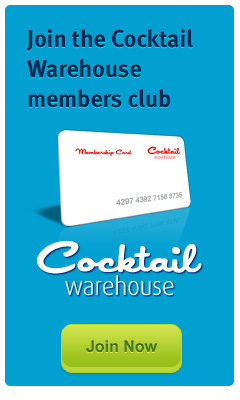 If your event is in Summer, be sure to get in early though as the equipment can book out.